Unsuspecting fish get blasted in the face with gill-infesting spawn. Here's why. It all begins with a flicker of movement as a crayfish scuttles across the riverbed. A smallmouth bass spies the commotion and swims down, thinking it can snag an easy lunch. Behold the diabolically clever life cycle of the rainbow mussel, which lives in U.S. rivers and streams. You see, what the bass thought was a crayfish was actually a few flaps of fleshy "skin" that the mussel uses as a lure. But why would mussels put on so much pageantry to get their larvae, or glochidia, out into the world? For one, glochidia live for mere hours, or two days at most, says M. Christopher Barnhart, a malacologist—or scientist who specializes in mollusks—at Missouri State University. “They’re very small, they can’t feed, can’t swim,” he says. “So it’s better if the female does something to increase the odds of success." 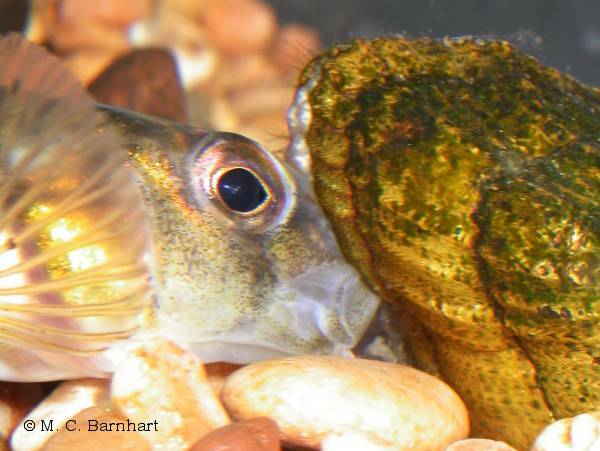 Once mama mussel blasts the fish with all of her larvae, the tiny creatures latch onto the fish’s gills, fins, and skin. The babies then do their best Alien impression, hunkering down and siphoning off infinitesimal amounts of nutrients from their host in the form of sugars and other fluids. Some species grow a little while they’re hitchhiking on the fish, but most simply use the host as a safe place to transition into juvenile mussels—like a caterpillar becoming a butterfly. After a few weeks or months, depending on the species, the mini-mussels hop off and settle into the sediment below. In most instances, the fish is no worse for the wear. Rainbow mussels aren't the only muck-dwelling masters of disguise, by the way. 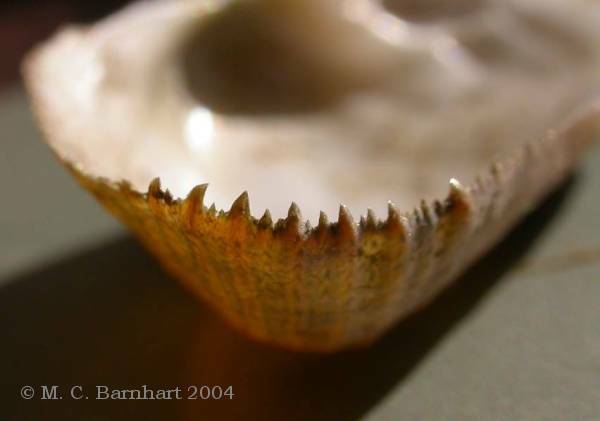 Others, like the western fanshell, found only in the Ozarks, release tiny strands of mucous called conglutinates that look exactly like worms. 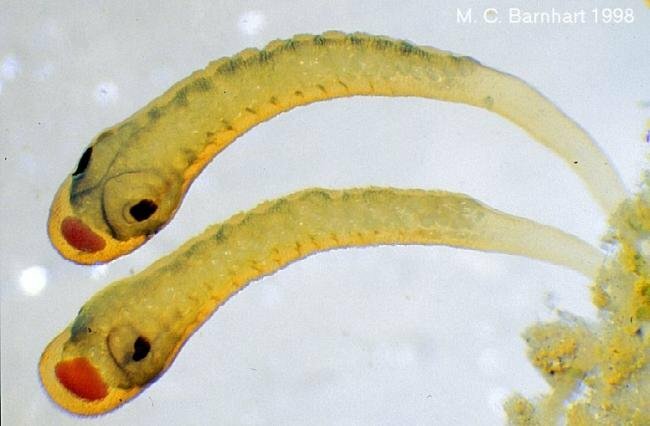 When fish gulp down the "worms," the larvae pop out. In Alabama and Mississippi, orange-nacre muckets produce longer versions of these conglutinates, which they allow to drift and tremble in the current, just like a fishing line. Each one is equipped with a lure on the end that looks like small fish or even insect larvae, but hidden within are tons of larvae lying in wait. 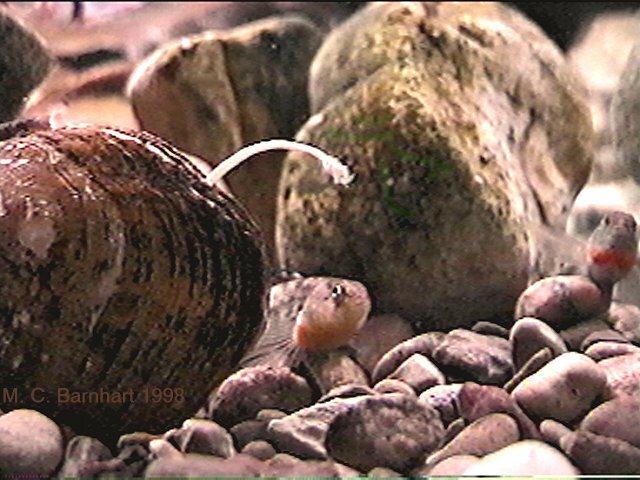 When predator bites the bait, the mussel larvae explode out like seeds from a parasitic dandelion. In Europe, a species called the spurting mussel takes a Mr. Rogers approach. These mussels use their foot, which resembles a tongue, to haul themselves up to the riverbank so that they can spit fountains of larvae-laden water onto the water’s surface. But of all the cunning and crafty methods mussels have evolved to take advantage of fish, Barnhart admires the Epioblasma genus—native to much of the U.S.—the most. Also known as fish snappers, these mussels open their shell and offer their flesh up as bait, only to clamp closed like a bear trap on the fish’s head. As with the other species, the mussel force-feeds its captive millions of larvae before letting go. Some fish snappers even have denticles, or teeth, on their shell edges, the better for holding their victims in place. “They’re the mussels that actually bite back,” says Barnhart.